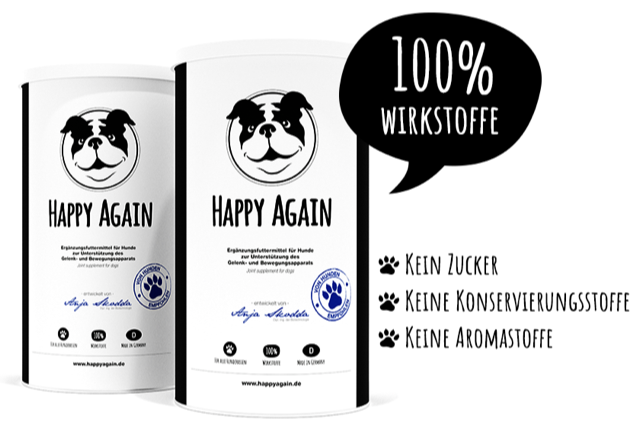 institutes and veterinarians.In case of problems in the joints and the musculoskeletal apparatus, Happy Again (collagen, glucosamine, hyaluronic acid) facilitates supply of nutrients and biosynthesis in the articular cartilage.Happy Again is manufactured in accordance with strict guidelines, following the highest quality standards in Germany. 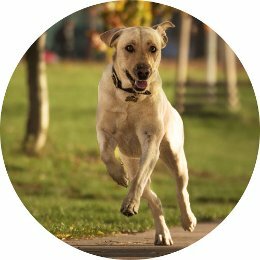 How much Happy Again does your dog need? 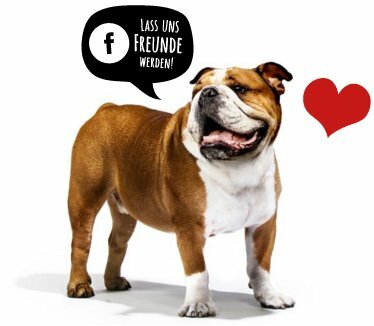 My mommy thinks I’m a very hungry English Bulldog… I prefer to think of myself as a passionate skater! :-)Sure, I love to eat… but there’s nothing like racing across the downtown pavements at breakneck speed with the wind combing your fur!